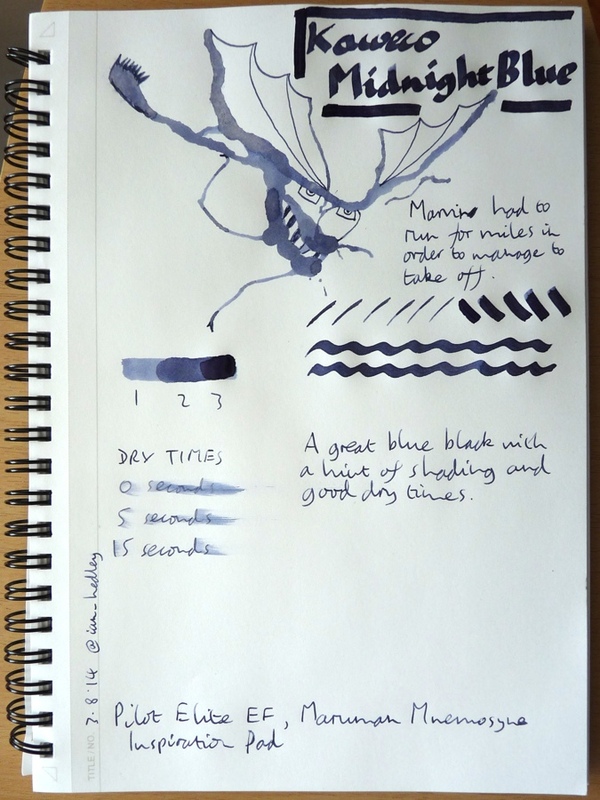 Kaweco Midnight Blue ink review – Pens! Paper! Pencils! 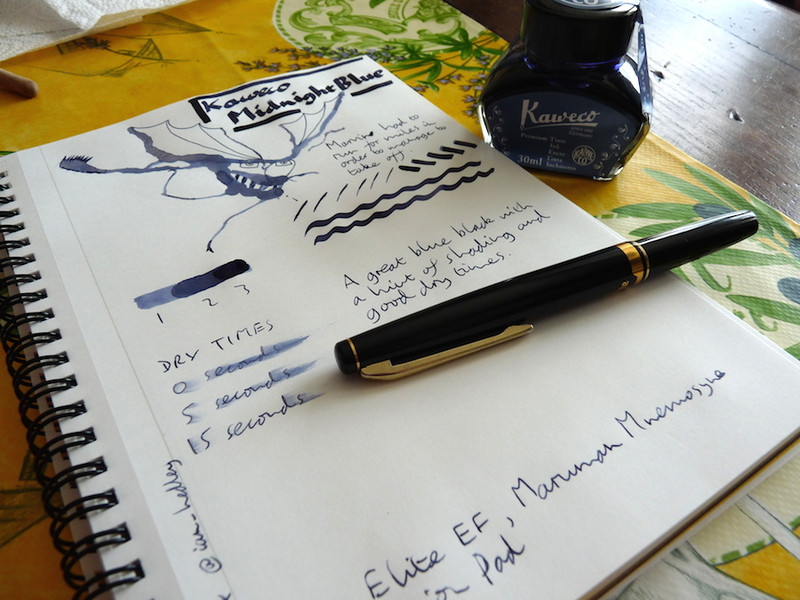 This is another great ink from Kaweco. It’s a classic good old-fashioned blue black, with just a little shading and quite a lot of character. All the Kaweco inks I’ve tried so far (which is most of them) have flowed well and dried quickly and this is no exception. I’ve reviewed a few Kaweco inks now and almost all of them have been pleasant surprises. I’ve seen other people say the same. Why does it come as a surprise that Kaweco inks are good? Perhaps because the range is quite small? I don’t know. Any thoughts? Thank you once again to Kaweco for sending me this ink to review and keep. I’ve tried not to let their generosity influence my views. Hmm… I’m not sure I dig this ink. But with web samples it’s really hard to tell 100%. And yeah, that doodle cracked me up!